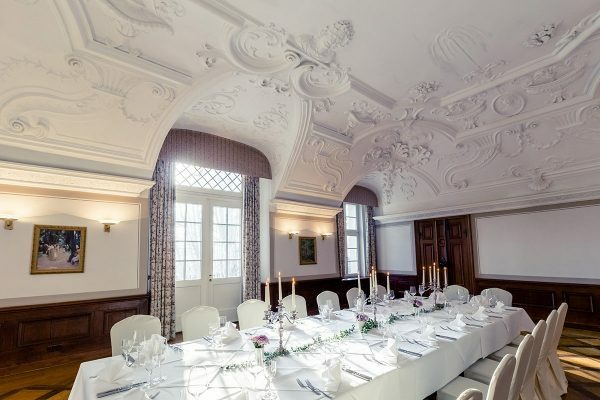 If you appreciate the romantic atmosphere of the castle and love the enchanting landscape of the area, the Hotel Schloss Neustadt-Glewe is ideal for your wedding reception and other festive occasions. In the beautiful ambience of the baroque castle we plan with you the desired festivities with professional and individual advice. You can not only host your wedding celebration here, but you can also conduct the civil wedding on-site. You can contract your marriage in the small hall with up to 30 guests or in the large hall with up to 70 guests. You should make an appointment with the registry office Neustadt-Glewe in advance. 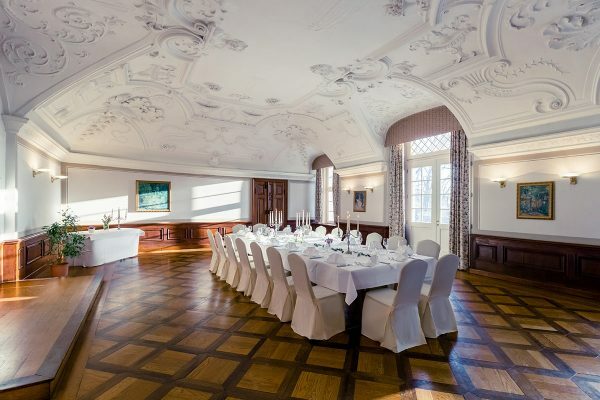 The team of Hotel Schloss Neustadt-Glewe will be happy to create the right offer for the accommodation of your wedding party directly in the castle, as well. The perfect place for the wedding couple to spend the bridal night is the Royal Suite.